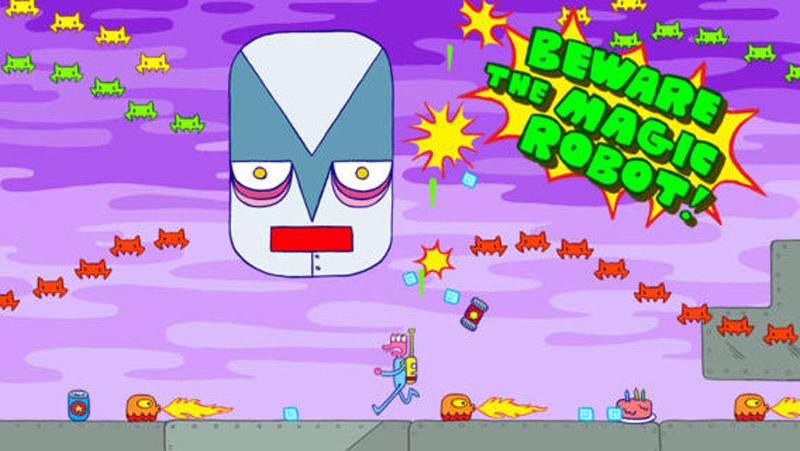 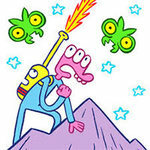 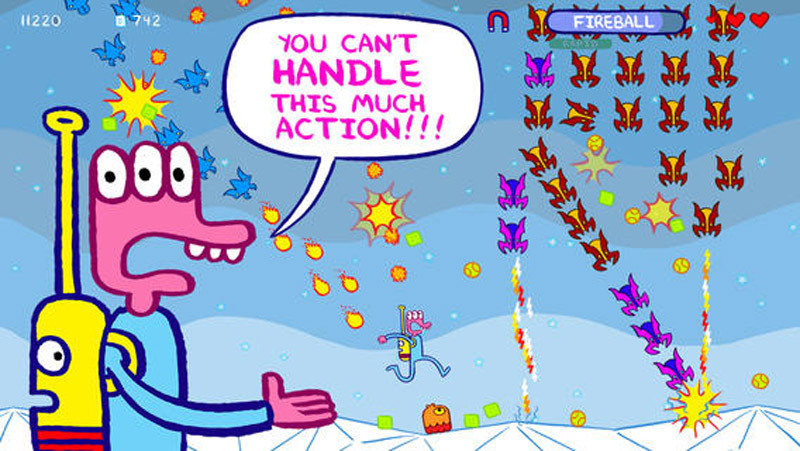 Help Glorkian Warrior and his trusty Super Backpack fight against an endless onslaught of alien creatures, and be prepared for anything... the Magic Robot appears when you least expect it, and might shower you with exploding basketballs... or kittens! 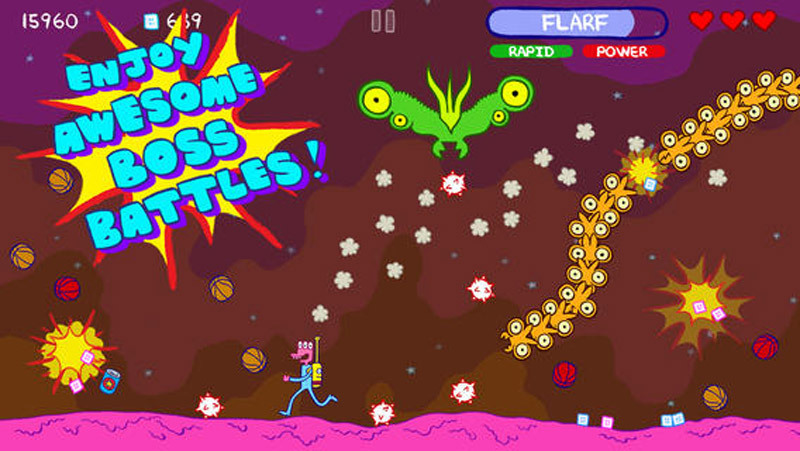 Collect energy crackers and power up an awesome arsenal of double lasers, triple lasers and tennis balls while the invaders hypnotize you with their mesmerizing attack patterns. 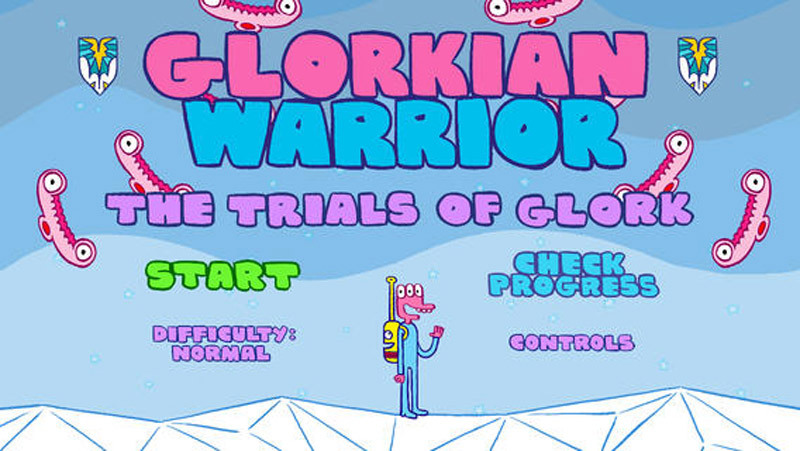 Perhaps you may even uncover the legendary Flarf Gun and save the world. 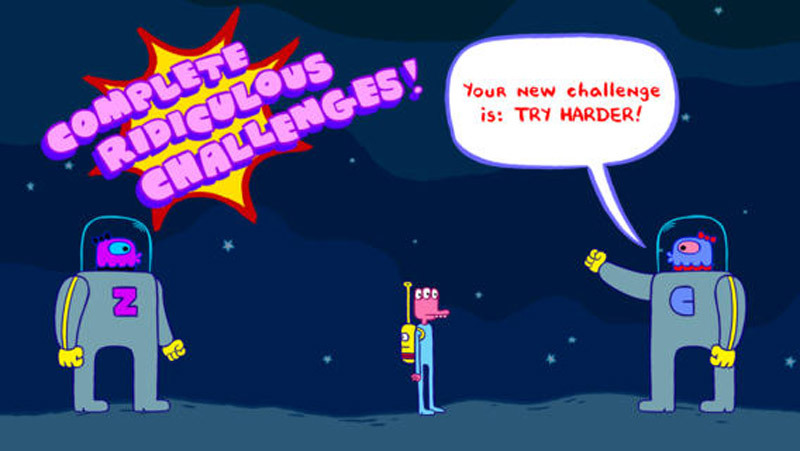 You will have so much fun trying and dying, again and again.... but no matter how miserable your performance, each play session will add to your progress and unlock new features to keep your fingers and fun zone fully engaged!